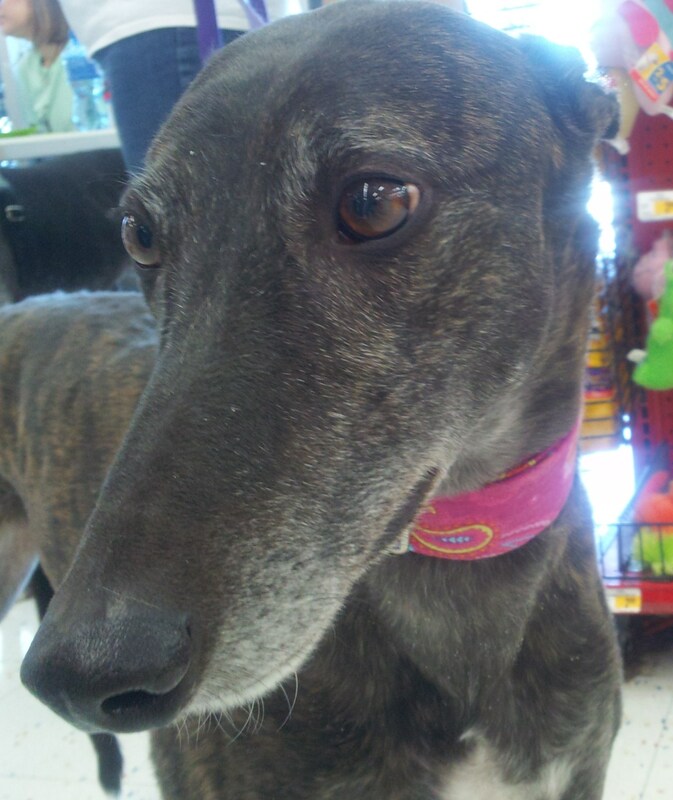 If you have had thoughts lately about pet adoption and possibly bringing a Greyhound into your family, then this post might help you to understand the breed a little more and help you decide if they would be the pet for you. The question often asked is “Do Greyhounds make good pets?” Hopefully you will find the answer to this question in our look at this marvelous animal. Greyhounds have many great qualities as a pet, they are very easygoing, intelligent, sensitive to other dogs and to humans, very loyal to their owners, brave and have an incredible lust and devotion to life in general. This dog learns quickly and has a lot of respect for its owner and other members of the household – being very loving towards children and not over-forceful with them. 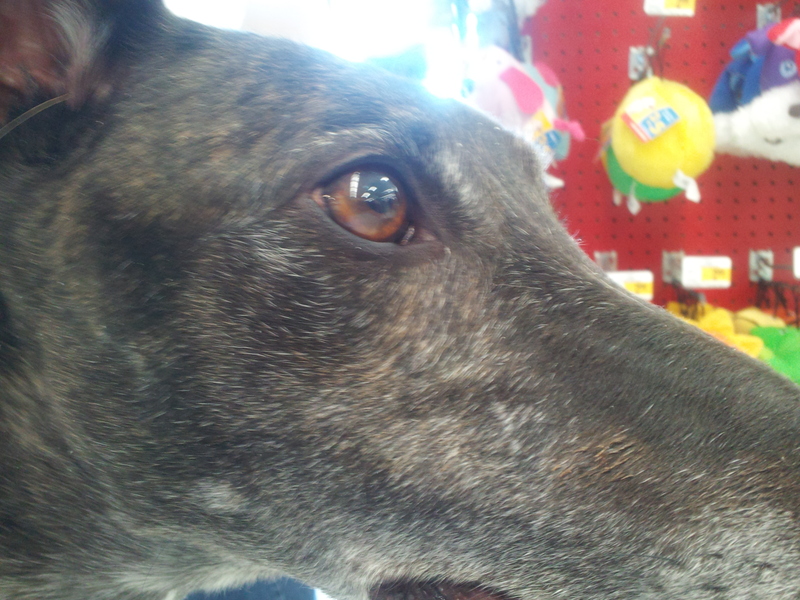 Greyhounds are “sight hounds” and are able to see something as small as a squirrel from up to a half mile away. They are also, without question, the fastest dogs on earth, reaching top speeds of over 45 miles per hour in under four seconds. Don’t let this impressive fact fool you though, Greyhounds are generally considered by their owners to be gentle, 45 mile per hour couch potatoes. They thoroughly enjoy being “slackers” and are never high strung or hyper, and they rarely allow any other animals to get their goat. Cool as the other side of the pillow, these sprinters are happy with as little as a 20 minute walk each day as the proper amount of exercise. You can also read through some of the previous posts made here and come to a decision if this wonderful breed is the one you want to share your life with. To me, it’s a no brainer…they are very calm & collected, they are the super models of the dog world and get lots of attention wherever they go, they do not smell like other dogs, do not eat a lot for their size and rarely ever bark. 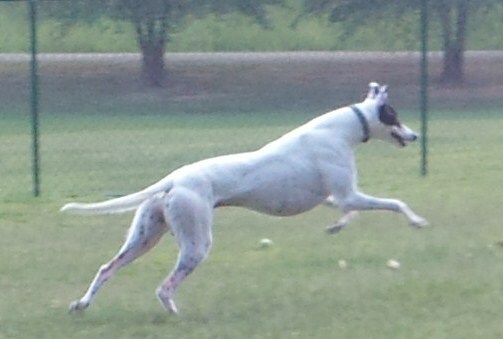 Greyhounds are bred for speed, health, intelligence, and sociability. This combination makes them excellent house pets. They are, as mentioned above, clean and odor free, indoor dogs that don’t eat a lot nor require extensive exercise. They are very quiet dogs and will spend much of their time sleeping. They are very content to follow you around wherever you go and love to go for car rides. 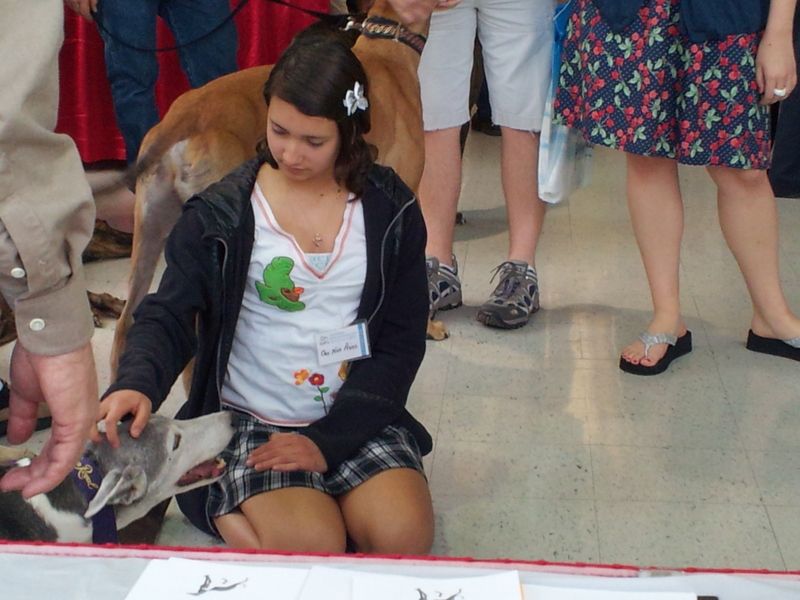 Greyhounds live to be about 12-15 years old, barring any accidents or illness. Racing Greyhounds are bred for health and speed and as such are not predisposed to genetic disorders like blindness, deafness, hip dysplasia, etc. 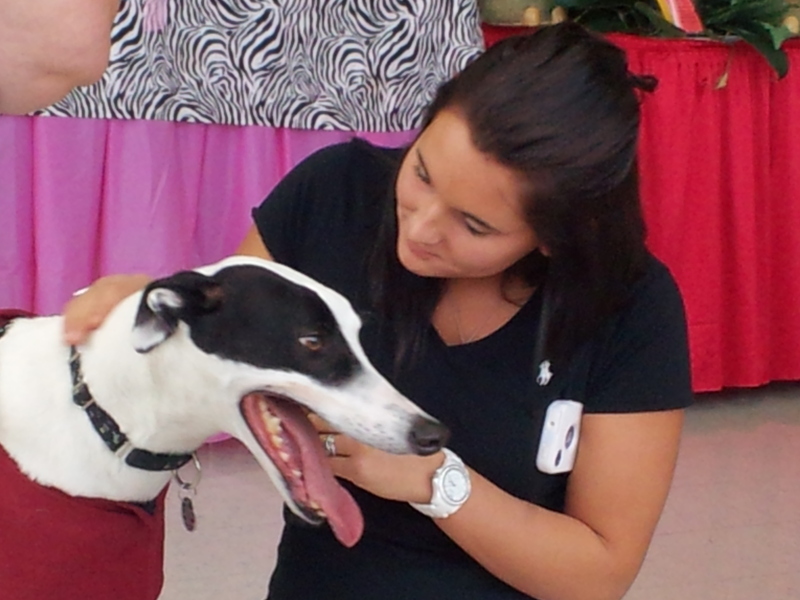 While not all greyhounds suffer from separation anxiety, a greyhound has been raised in a busy kennel and racing environment that requires extensive handling and they crave human company. 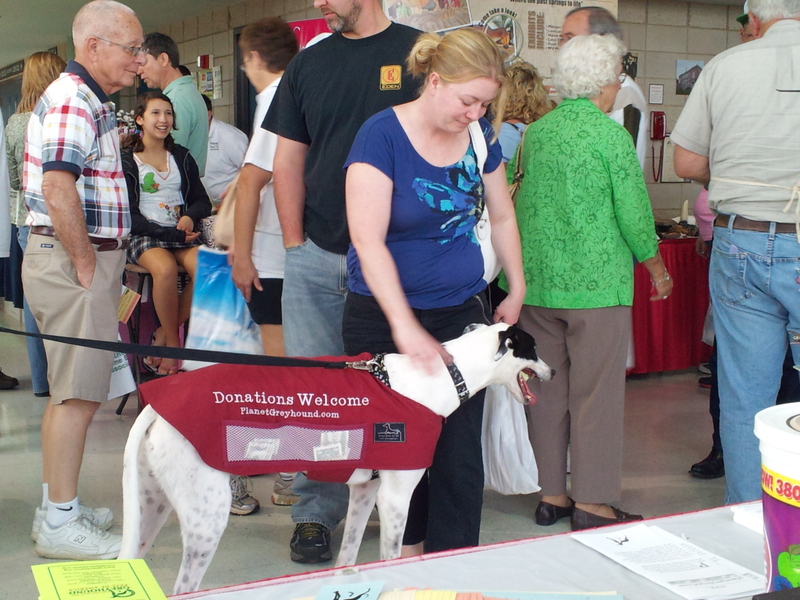 Some greyhounds may get nervous and afraid if left alone. A greyhound must learn by experience that you will return, and that being alone in the house is safe. Not every dog suffers when left alone for short periods of time, and your dog may never have any problems, but it does show up with some greyhounds and you should be aware of it so if it does arise you will be prepared. If you have an interest in adopting a greyhound as a pet, you’ll find that there are a great many devoted fans of the breed who have done an amazing amount of work to save, nurture, and re-acclimate these stunning dogs for the retired life in your home. They are not big chewers, and they will most likely doze peacefully on the sofa while you go about your day away, greeting you drowsily when you return. Your male will be tall, at about 28 to 30 inches at the withers, and usually weigh 70 to 85 pounds. Females, a bit smaller, will measure around 26 to 28 inches and are usually in the 55 to 70 pound range. These size ranges can vary somewhat as there are some instances of “large females and small males” that will occasionally fall outside their normal size range. In my personal experience, looking into the eyes of a Greyhound is like looking into an “old soul”, there is just something special there that is hard to explain. You need to experience it for yourself! 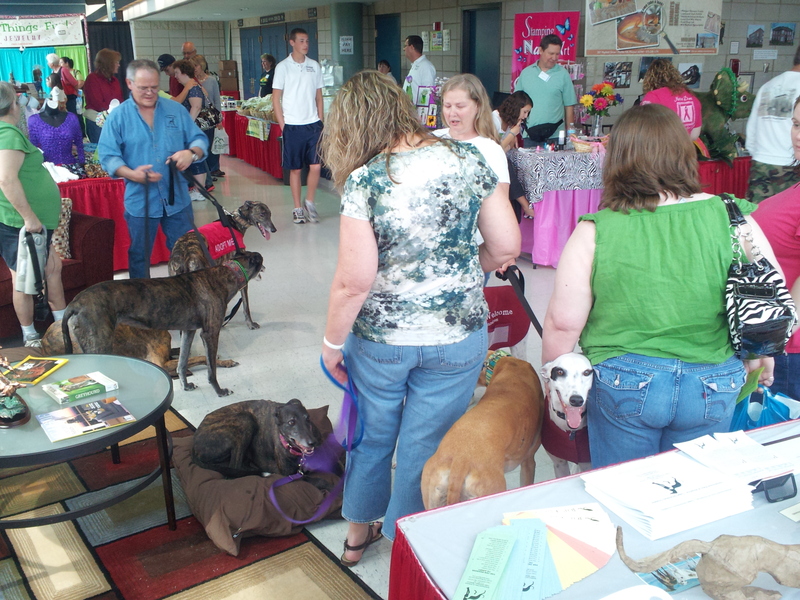 Greyhound owners and adoption groups generally consider greyhounds to be wonderful pets. They are pack-oriented dogs, which means that they will quickly adopt humans into their pack as alpha. They can get along well with children, dogs and other family pets. 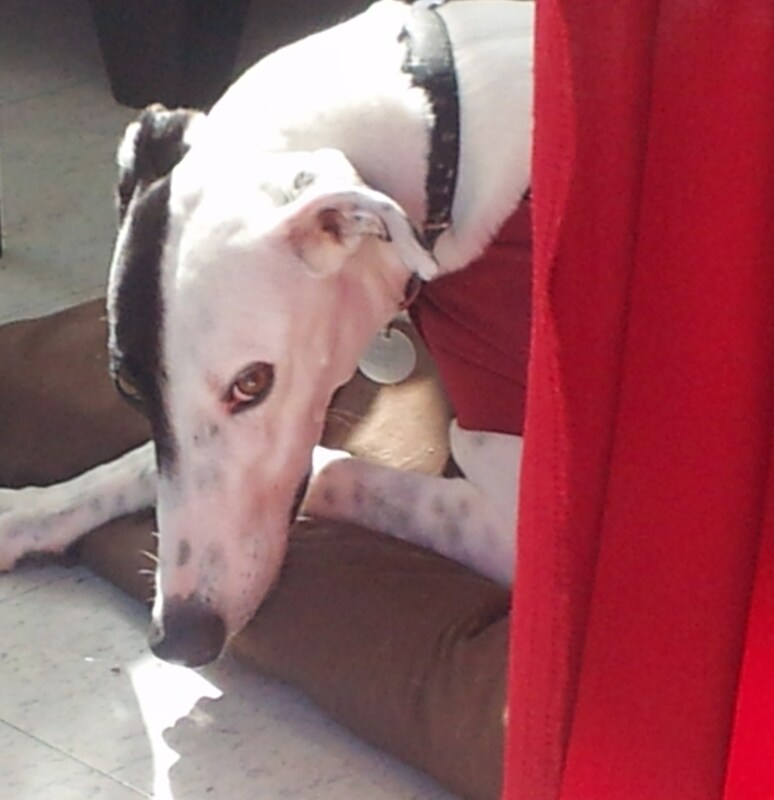 Rescued racing Greyhounds occasionally develop separation anxiety when re-housed or when their new owners have to leave them alone for a period of time (the addition of a second greyhound often solves this problem). Greyhounds bark very little, which helps in suburban environments, and are usually as friendly to strangers as they are with their own family. 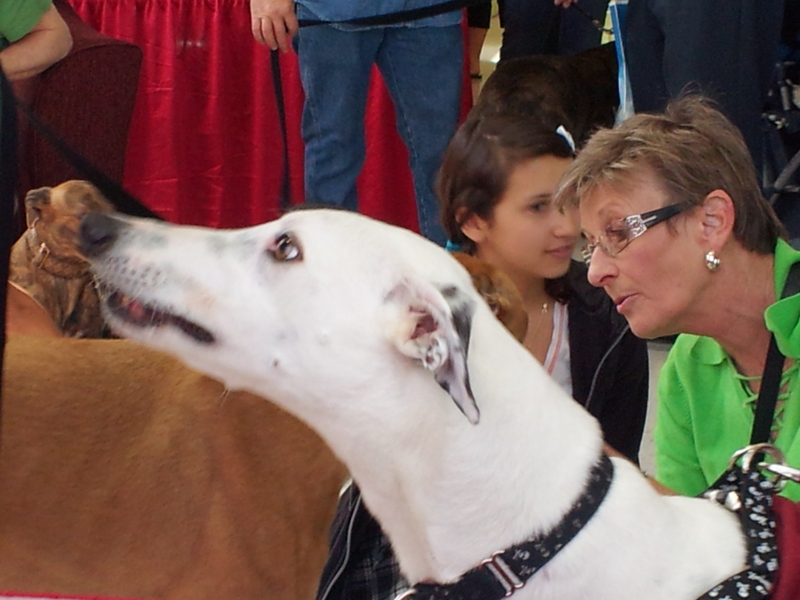 The most common misconception concerning greyhounds is that they are hyperactive. 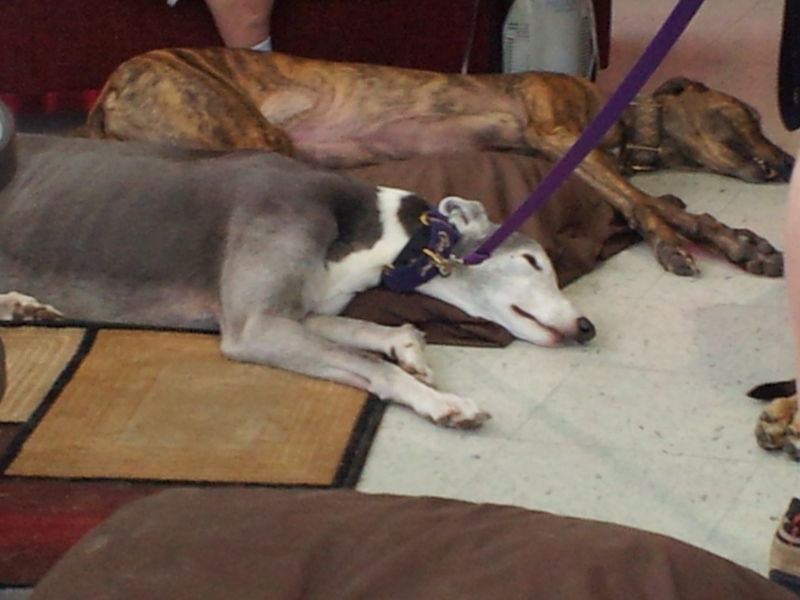 In retired racing greyhounds it is usually the opposite. Young greyhounds that have never been taught how to utilize the energy they are bred with, can be hyperactive and destructive if not given an outlet, and require more experienced handlers. 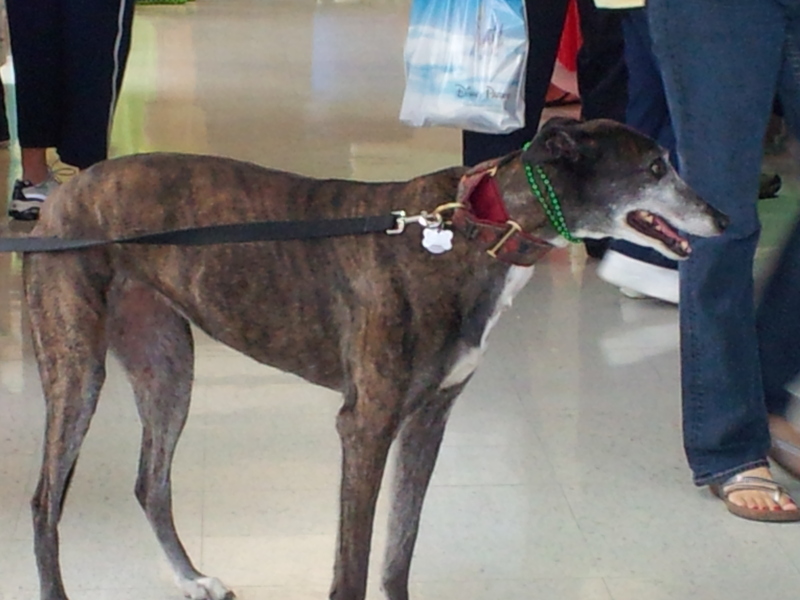 Greyhound Adoption groups generally require owners to keep their greyhounds on-leash at all times, except in fully enclosed areas. This is due to their prey-drive, their speed, and the assertion that Greyhounds have no road sense. Due to their strength, adoption groups recommend that fences be at least 4 high, to prevent them being able to jump the fence and escape. 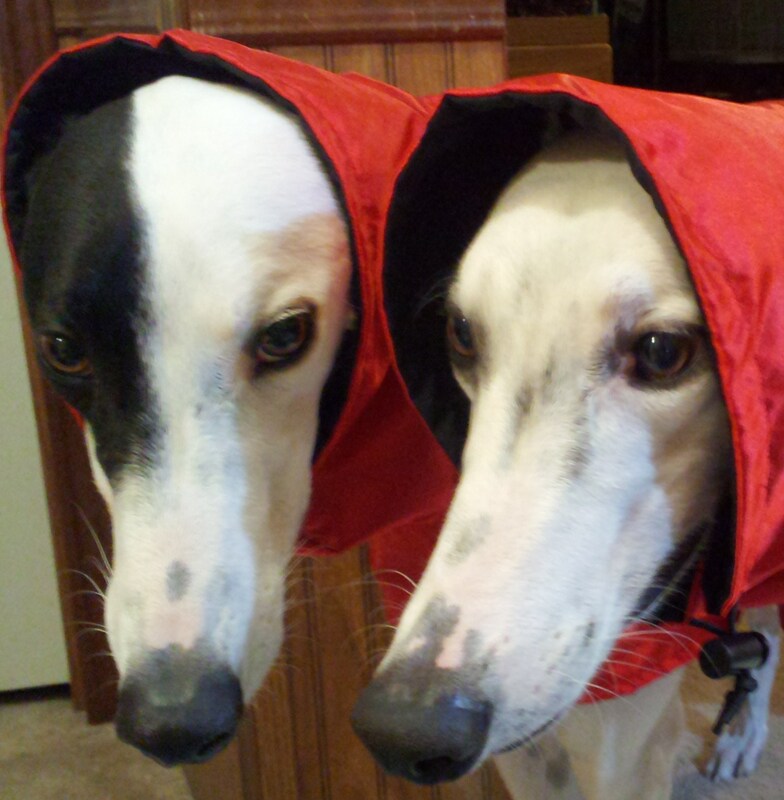 Greyhounds do shed but do not have undercoats and therefore are less likely to trigger people’s dog allergies (Greyhounds are sometimes incorrectly referred to as “hypoallergenic”). The lack of an undercoat, coupled with a general lack of body fat, also makes Greyhounds more susceptible to extreme temperatures, and most sources recommend that Greyhounds be housed inside. 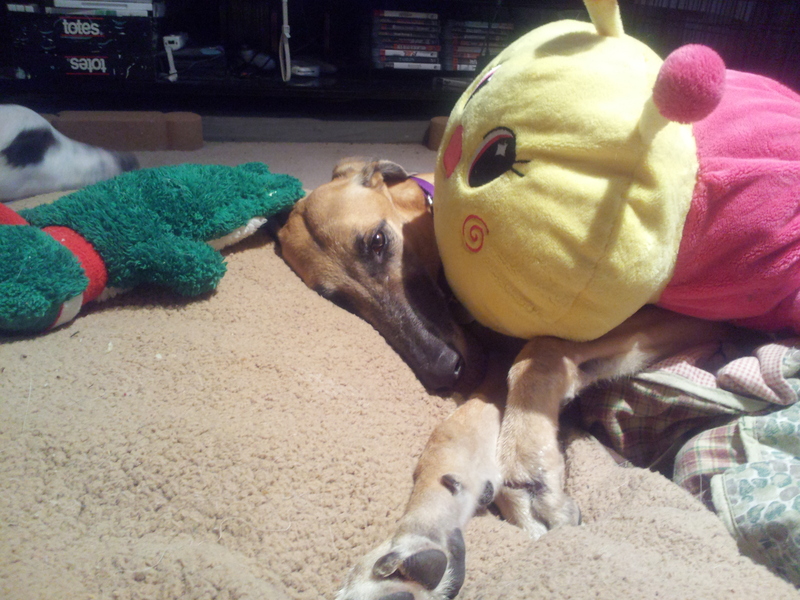 Greyhounds are very sensitive to insecticides. 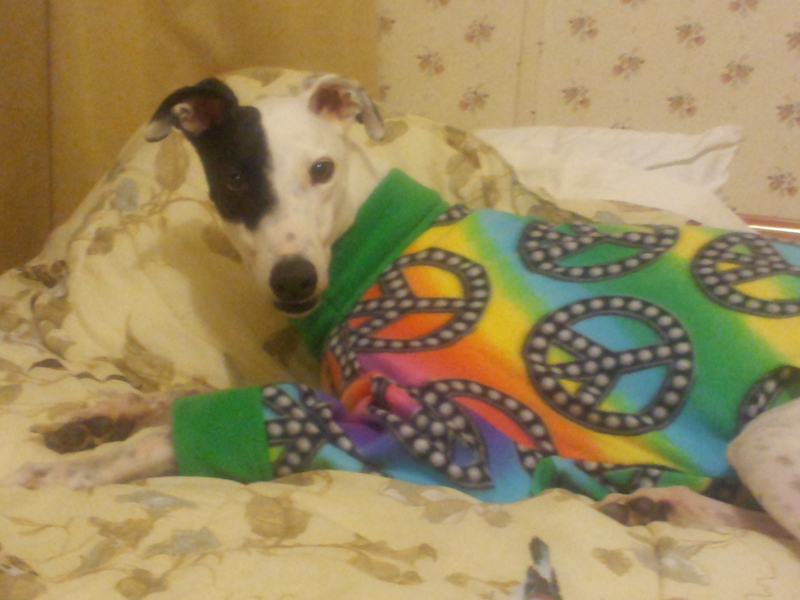 Many vets do not recommend the use of flea collars or flea spray on greyhounds unless it is a pyrethrin-based product. Products like Advantage, Frontline, Lufenuron, and Amitraz are safe for use on Greyhounds and are very effective in controlling fleas and ticks. 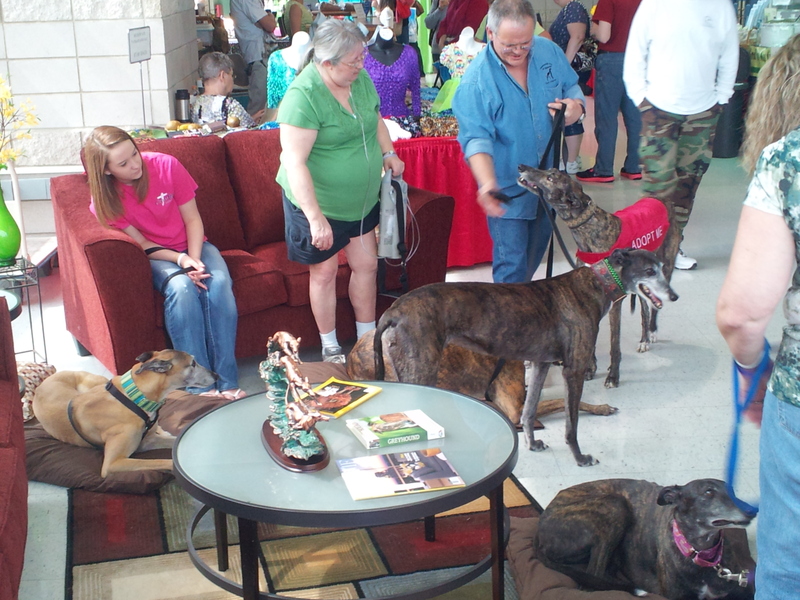 It is often believed that Greyhounds need a large living space, however, they can thrive in small spaces. Due to their temperament, Greyhounds can make better “apartment dogs” than many, if not most, of the smaller hyperactive breeds . 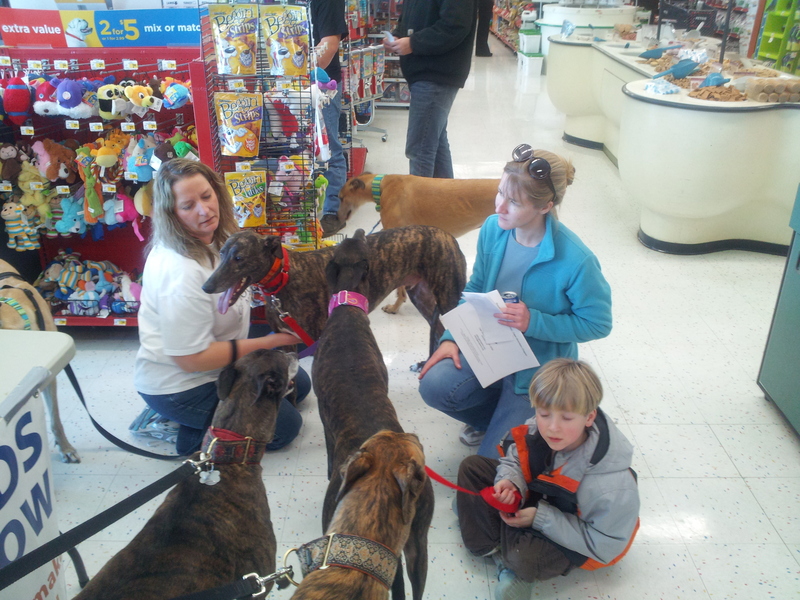 In the late 20th century several Greyhound adoption groups were formed. The early groups were formed in large part out of a sense of concern about the treatment of the dogs while living on the track. 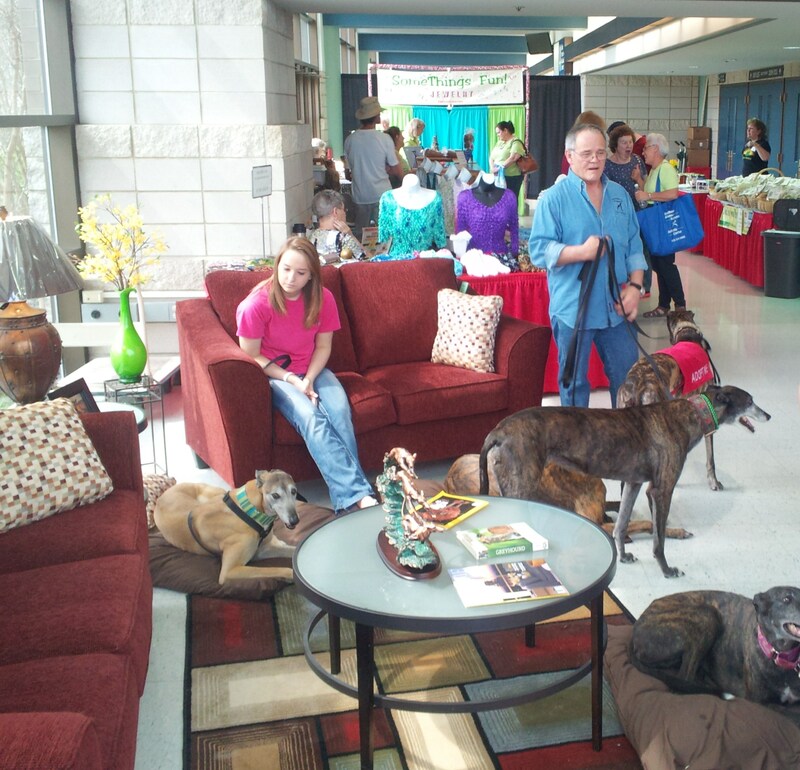 These groups began taking greyhounds from the racetracks when they could no longer compete and placing them in adoptive homes. 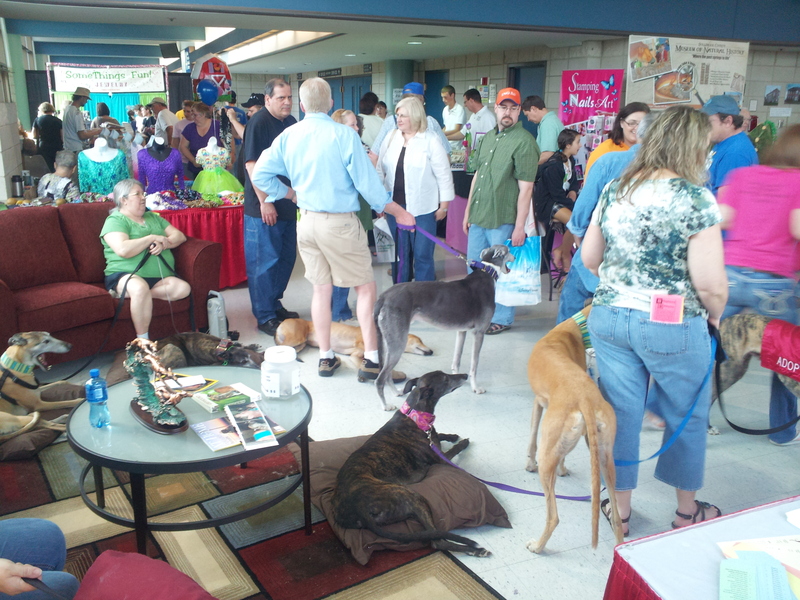 Prior to the formation of these groups, in the United States over 20,000 retired greyhounds a year were euthanized due to track injuries or simply because they were no longer of use; recent estimates still number in the thousands, with about 90% (highly questionable) of National Greyhound Association-registered animals either being adopted, or returned for breeding purposes (according to the industry numbers upwards of 2000 dogs are still killed annually in the US while anti-racing groups and other advocates estimate the figure at closer to 12,000). 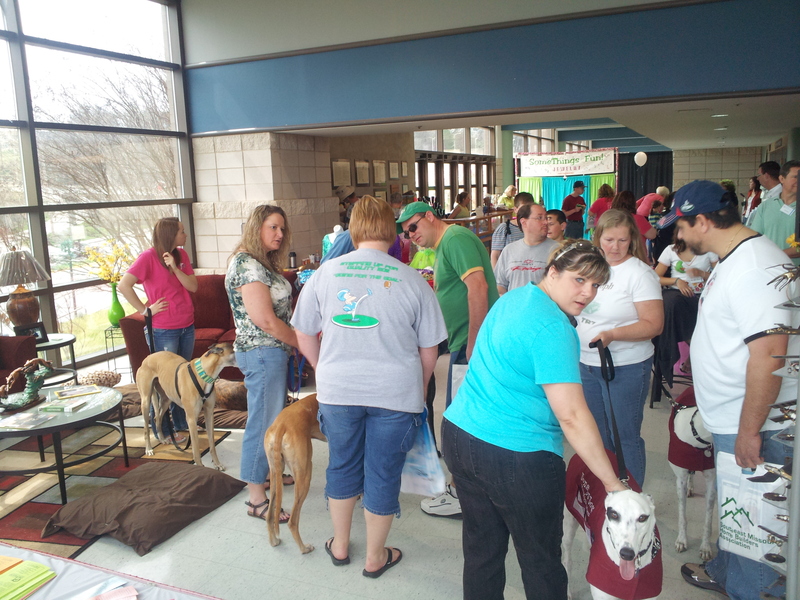 As usual, the dogs were a big hit and several people picked up applications and brochures. Ok, on to the photos!! 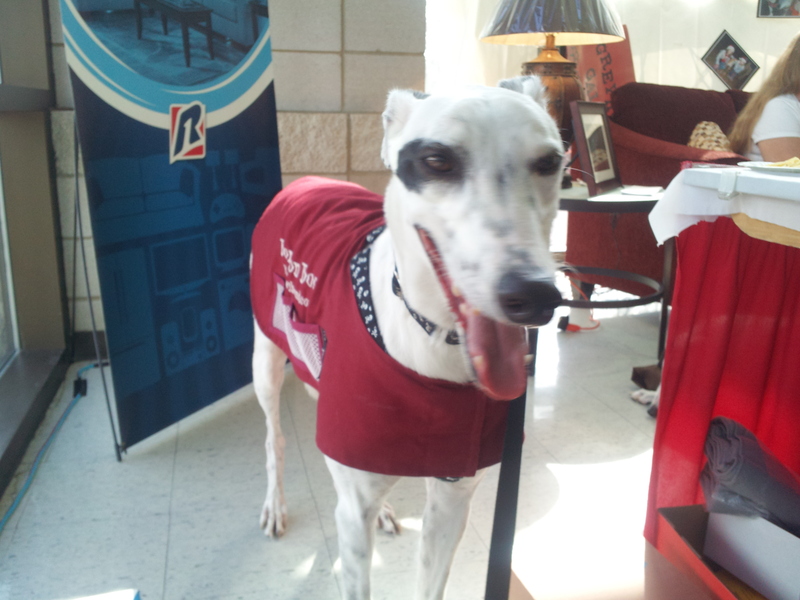 Greyhounds – Did You Know? A greyhound is the second fastest land mammal accelerator, it has a natural acceleration that is second only to the cheetah. It reaches speed of 45 miles per hour in about one and a half seconds. It can also shut down to zero just as fast as very happy couch potato on your couch. It is not a high-energy dog, but it can gallop very quickly due to its unique physical characteristics. The greyhound has a larger heart and set of lungs than any other dog. This allows it to circulate more blood and oxygen through its system when running. The stride is often referred to as a double suspension gallop when running “full out”. This is because the dog’s paws hit the ground twice for every cycle of steps it takes. The spine is very flexible, allowing the dog to lurch and jump quite high too. About 25,000 race dogs are retired every year. The dogs can live (on average) 12 to 14 years (one ex racer lived to 20) and are one of the most long-lived big dogs around. Their racing careers span approximately two to four years of before they are retired, so you can see there are many years of companionship left in this wonderful breed. The dog is very aerodynamic due to the thin fur coat it has. It is a short haired dog with a very thin skin that can be easily ruptured. This is the reason the dog is often muzzled in races, and not due to any aggression as most people think. The dogs are actually one of the most non-aggressive breeds around and most prefer to avoid any confrontations. The dog’s thin skin means that it is highly susceptible to environmental poisons and medications. They can be toxic to the dog, even when the medication is a dog flea medication. The paws also can absorb lawn chemicals, which can kill it, so it should be kept off of any grass that has been treated. The dog is more like a cat than a ferocious guard dog. Despite its size, it will sleep upside down on your couch (roaching) and likes to be close to its owners at all times. It can suffer from separation anxiety, particularly if it is a former race dog. 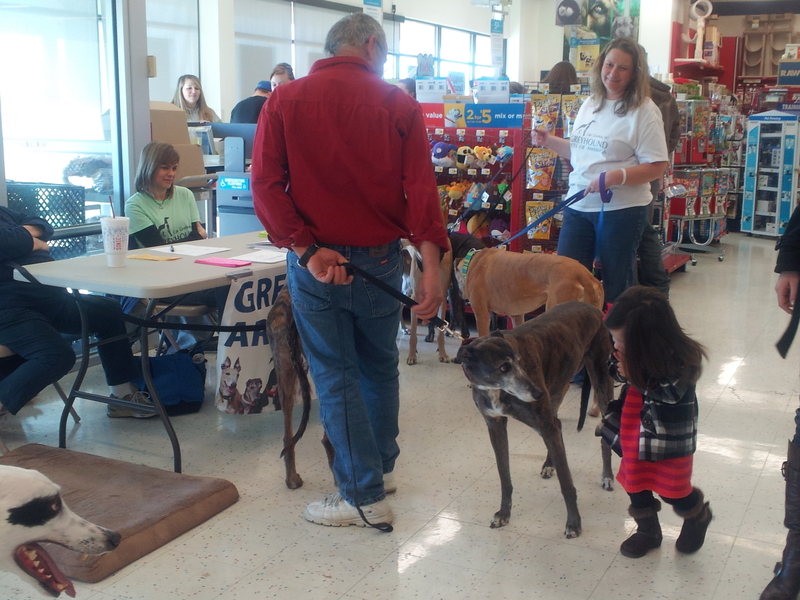 They are not used to being without people or other greyhounds around. Some will also collect small items to keep for itself and these can include your children’s toys, the remote control, or any food left out on the counter. The dog is so quiet and graceful, you may not even notice when it takes off with these things. A retired greyhound can make an ideal house dog. The bark has been (for the most part) bred out of the dog, so it is usually very quiet. It loves to hang around the couch and be a part of a family. It easily adapts to its new life of leisure and needs no more than a couple of good walks a day and a nice place to run, full out, at least every couple of weeks or so…especially if they are still young. 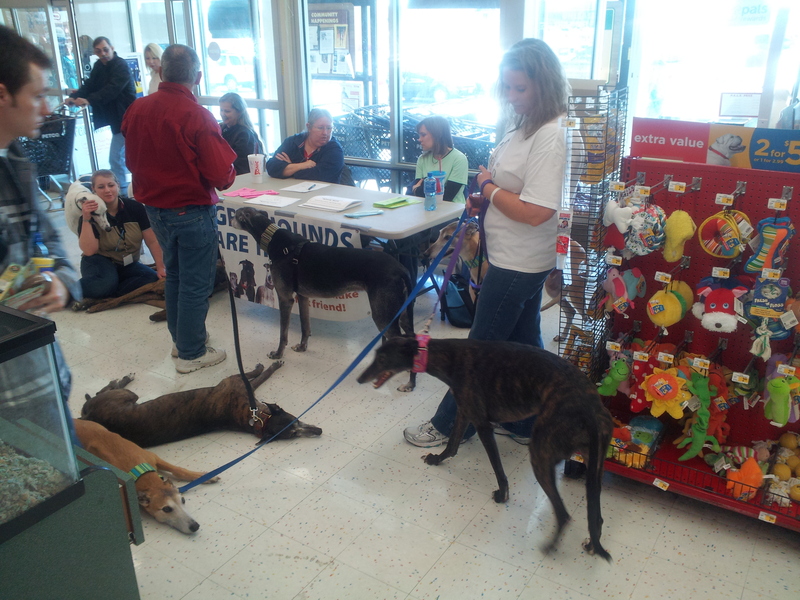 Saturday 2/25/12 was our monthly rescued greyhound get together, also called a “Meet & Greet” at the Cape Girardeau, Mo. Petco location. 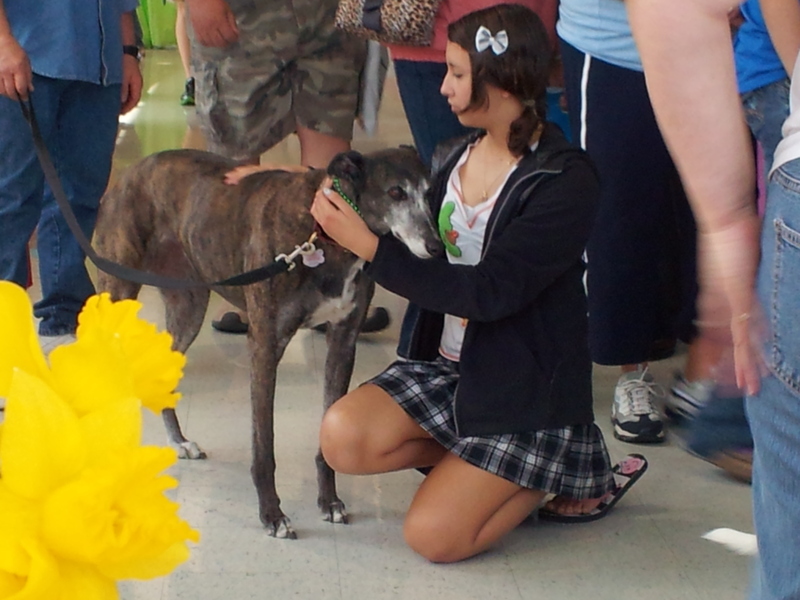 We use these Meet & Greets to familiarize people with what rescued greyhounds are like by making our own rescued and adopted dogs available for people to get acquainted with. 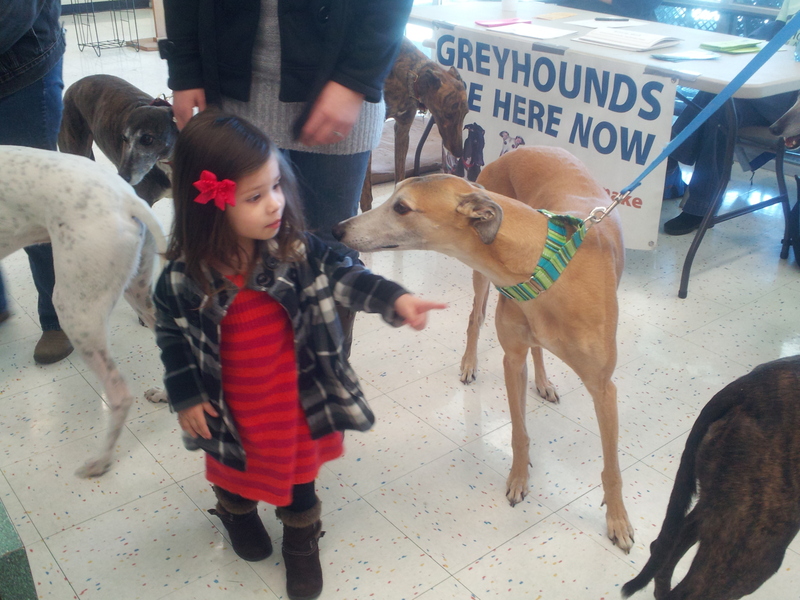 The people, especially the kids, love it…and so do the greyhounds. 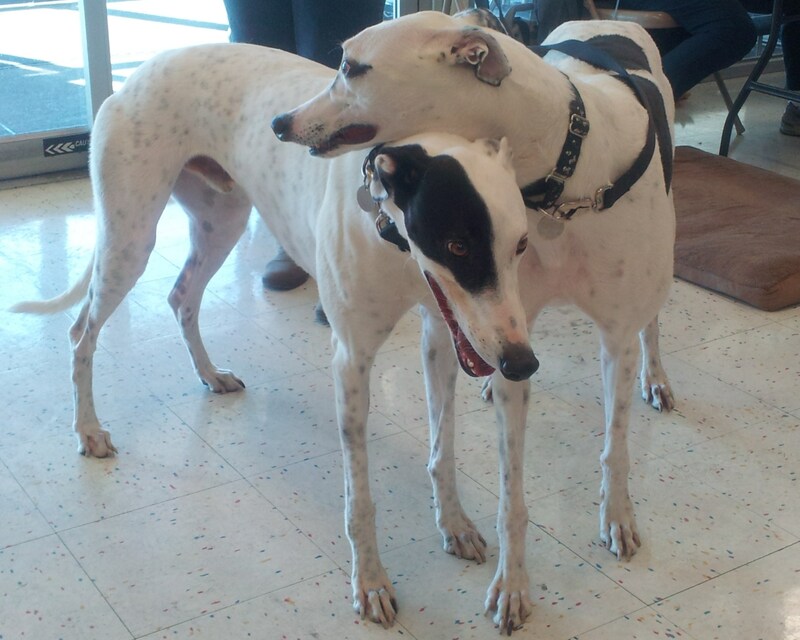 The dogs are absolutely thrilled to see their “greyt” friends (other greyhounds) when they arrive and are also delighted and want to meet everyone else who comes in the door. 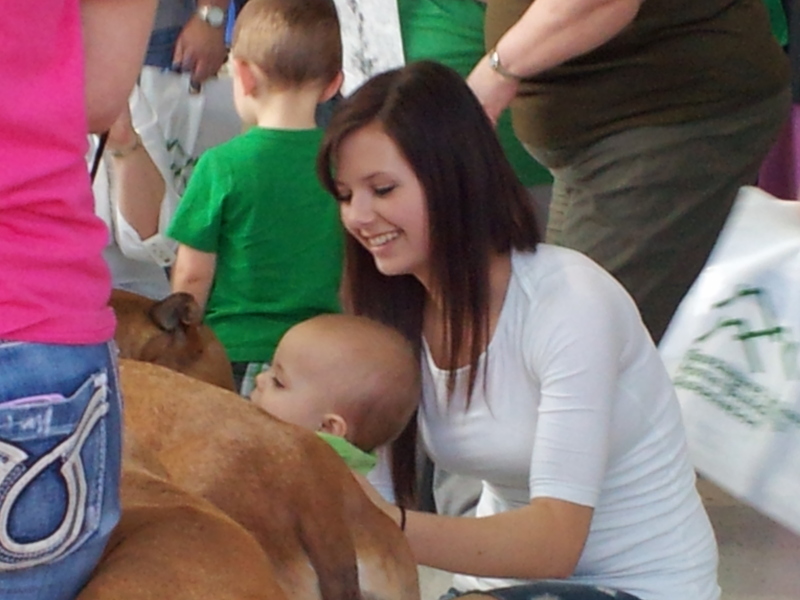 They just cannot get enough of meeting new people! We had a good turn out with 6 GPA members and 9 greys in attendance. 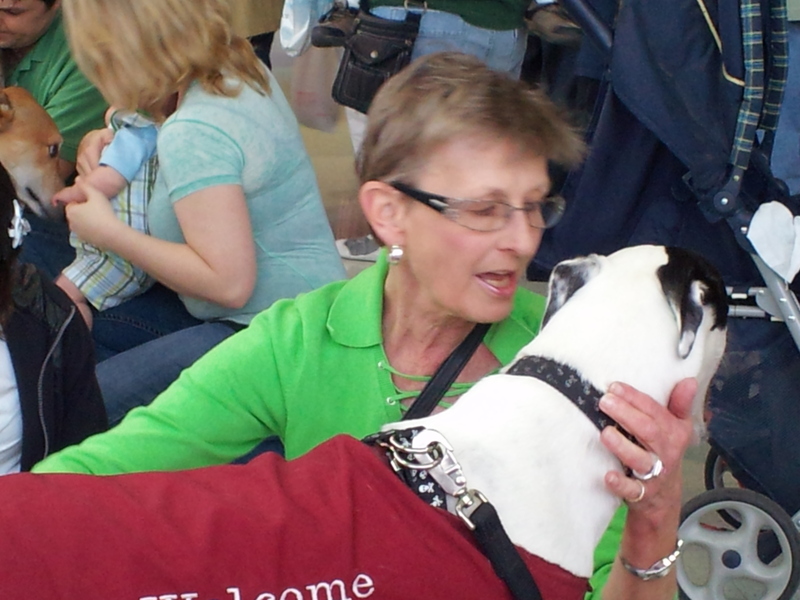 There seemed to be a lot of serious interest in our program and many people picked up information in order to do their homework on what we’re all about and what these wonderful dogs have to offer. Our next M & G will be at the Carbondale, Il. 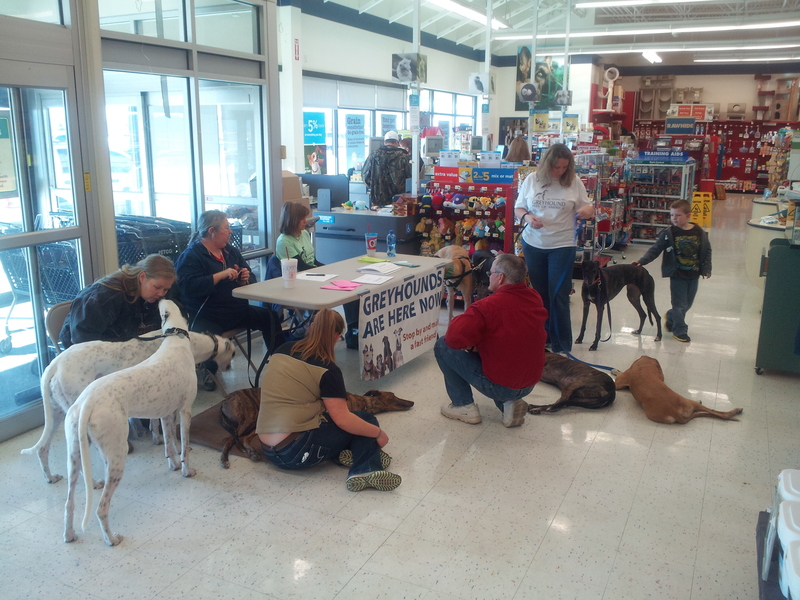 Petco from 1:00 to 4:00 pm on March 10th. Below are some photos from the 2/25/12 event…enjoy! This girl is an absolute doll who wants to be with you as much as possible. It’s a joy to see her personality start to emerge as she starts learning about all of the new things in her life, like soft places to lie down, toys to play with and people to be with that love her for who she is, not what she can (or used to) do. Keith, the young man who is going to adopt her, is going to have a wonderful companion and they will surely have a lot of “greyt” times together. You can see more pics of Sunset in the links “Greyhound Pics” link above!